Automatically capture the screen sharing and chat conversations from your sessions. Keep track of what happened. When you need to review a specific support session, you can ask the technician to share their side of the story. Or you can just view the video. RescueAssist can automatically start recording when a support session is launched. Just like that, you’ll have a detailed copy of what was shown on screen and said in chat for auditing or training purposes. To record, or not to record. As the RescueAssist account administrator, you get to decide. 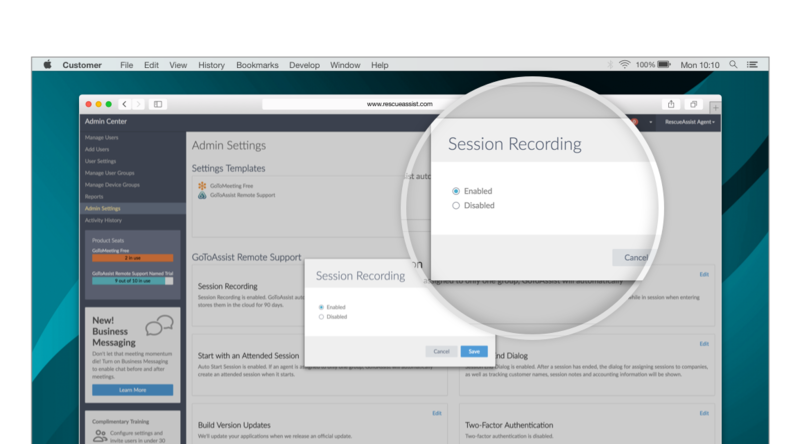 You can enable recordings for every support session — attended and unattended — that your technicians start. 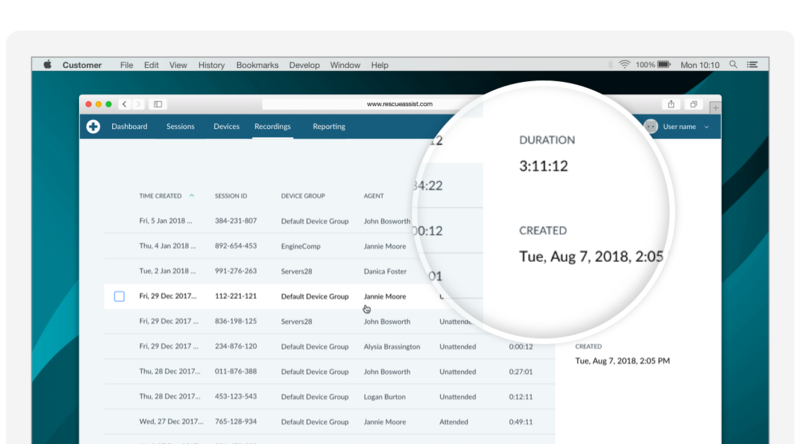 If you want to narrow it down, you can also turn on automatic recording just for select companies or exclude them from the account-wide setting. If you’re getting a lot of repeat requests, don’t hesitate to share your recordings with customers. You can download the videos from RescueAssist and share them in the manner you choose, either after the support session or proactively as part of your own knowledge base. Your customer gets a guide to solving their issue, and you get a break. 90 days of online storage. RescueAssist will store your recordings for 90 days on your account, where you can search through the set and filter by company, technician, session type and date range. If you want to keep your recordings longer, you can simply download the recording as an MPEG-4 file. RescueAssist will convert the file and notify you when the download is ready.